Nonglare cover allows crisp, clear view of title page. 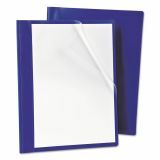 Oxford PressLock Report Cover, Prong Clip, Letter, 1/2" Capacity, Clear/Blue, 25/Box - Press Lock Report Cover offers a non-glare clear front that allows full view of cover page. 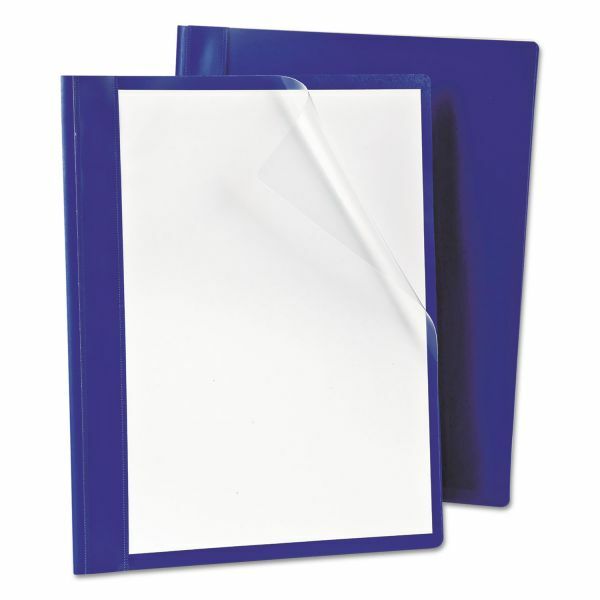 Tough no-tear polypropylene back cover provides extra protection. Report cover securely holds up to 1/2 of documents."